Buy Bravecto and be in to win! 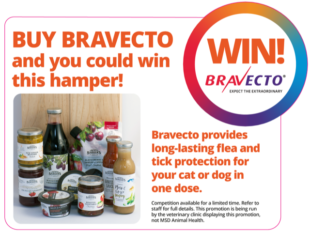 Purchase any Bravecto flea treatment in April 2019 and you can be in with a chance to win this fantastic hamper! 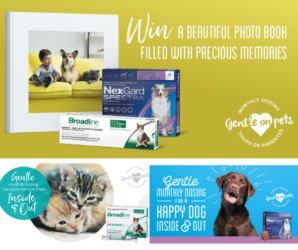 Win a free photo album for your pet! Simply purchase any gentle monthly dosing of Broadline or Nexgard product, and we’ll put you in the draw.